Cafe-style lights. Bistro lights. String lights. 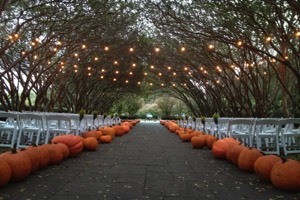 Whatever you call them, they look great for outdoor receptions. 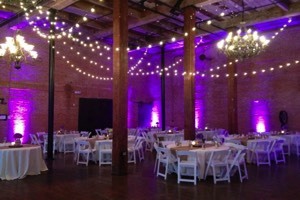 We've even seen them indoors at "rustic" venues around the Metroplex, such as the Cotton Mill and Flour Mill in McKinney and 809 At Vickery in Fort Worth. 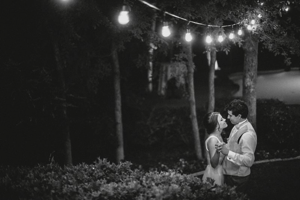 Our marquee bulb string lights are also perfect for lighting an outdoor tent. Ask for a price quote for your wedding or event.